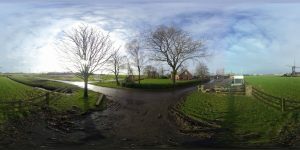 Roel van der Baan is part of a surge of Google Street View (GSV) photographers using a 360 camera emerging from the Netherlands. 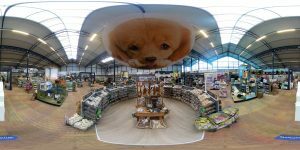 This region has become a hotbed of budding 360 camera photographers and has resulted in profitable enterprises emerging from this niche, with over 400 Google trusted photographers now in the Netherlands alone. Roel works 10-15 hours a week primarily with 360 photography and it’s now his major source of income. He told us a little about his story, about how he went from an enthusiast to bringing the bread home with his affordable 360 camera set up. Could you please tell us about how you became a 360 camera photographer? 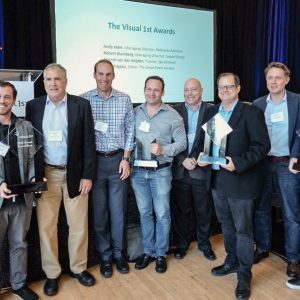 Why did you choose the Google Street View industry? 4 years ago, I became aware of 360 cameras. At the time I used my iPhone to create some 360 pictures and I stored them by using an iOS app. After a while, I met someone in my town and I found out he was a Google Trusted Photographer that had already done several virtual tours with a DSLR. He stitched the pictures himself which he then put on Street View. I got very enthusiastic about that and I started taking pictures and stitched them myself until I found the Panono ball camera. So, I bought one, but its disadvantage is that you have to upload the picture to a cloud, wait 15 minutes and you can only download them to a PC. Then there was the Insta360 Nano, it took pictures that were directly ready to use. It was also useful in small rooms, so I also bought a tripod stand for it and made pictures. 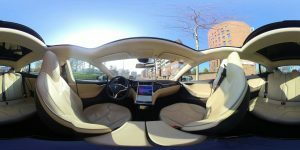 These pictures were the first ones for me on Street View and when I had 50 approved 360º pictures published I became a Google Trusted Photographer. 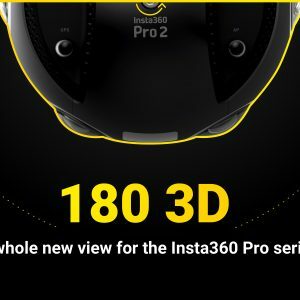 Why did you choose to use Insta360 ONE for Google Street View? What do you think of it? I had the Nikon 360 camera but that was a disaster, I was happy when I sold it again. Later there was the Insta360 ONE. Oh man, what a nice camera it is, pictures, video, time-lapse and more. No more waiting for stitching, good resolution and directly sharable pictures. I also bought the invisible selfie stick and a small tripod and there I go making pictures for use on Street View. How is your Google Street View business doing? Could you tell us a little about your projects and clients? Do you think it’s a profitable market? Nowadays, I make Street View tours every two weeks for a diversity of clients, a car dealer, a bowling centre, a fashion shop, a hairdresser, a bike shop, a pizzeria and of course I make 360º pictures of nature. The Insta360 One is always with me when I travel. I’ve made pictures in Sweden, Norway, Belgium, France and of course Holland. You must have been to many different places for Google Street View. Could you share some interesting or funny stories? I don’t like to see myself in pictures I have to hide when taking pictures. So, when I’m outside I stand behind a tree, sit behind bushes, behind cars of behind advertising sign and that looks a bit odd to some people. A grown man hiding behind those things. 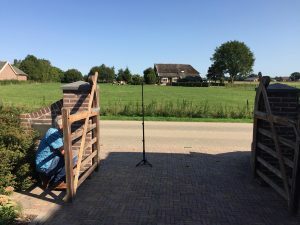 Most of the time I get questions of what I’m doing, also people think I’m measuring noise with that black thing on a pole. Or when I say I make 360ºpictures they say “I don’t see the camera go around”. Roel hiding behind a fence. Do you have any tips for new GSV photographers looking to get into the industry? It’s not easy to get new customers, first I did it by mail but that mostly didn’t work. So nowadays when I’m at a place I look on my Street View app and look if there already are 360º pictures of that place on SV. If that is not the case I go to the owner and talk directly with him/her and show him/her some examples and that mostly works fine. So that would be my tip for new GSV photographers. Roel is a great example of an indie photographer using 360 cameras to make a living, since this interview we’ve added the Insta360 ONE X to our line-up. It’s GSV capable and shoots higher quality, more immersive 360 content.